Heard enough about Russia, this year, have you? Take a different route and read from the growing opus (thanks to translator Peter France) of the Russian poet and essayist and all-around man of the folk and outdoors Gennady Aygi. 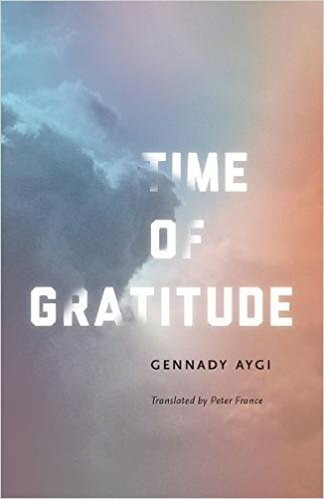 Born in the small Soviet republic of Chuvashia, Aygi takes us by the arm through fields of poetry and over mud roads and with this modest book of essays to poets that have meant the world to him: Khlebnikov, Kruchoeykh, Mayakovsky, Pasternak, and then to neighboring wonders: Kafka, Transformer, Celan and Rene Char. New Directions publishers have been keeping the Aygi book cupboard full.